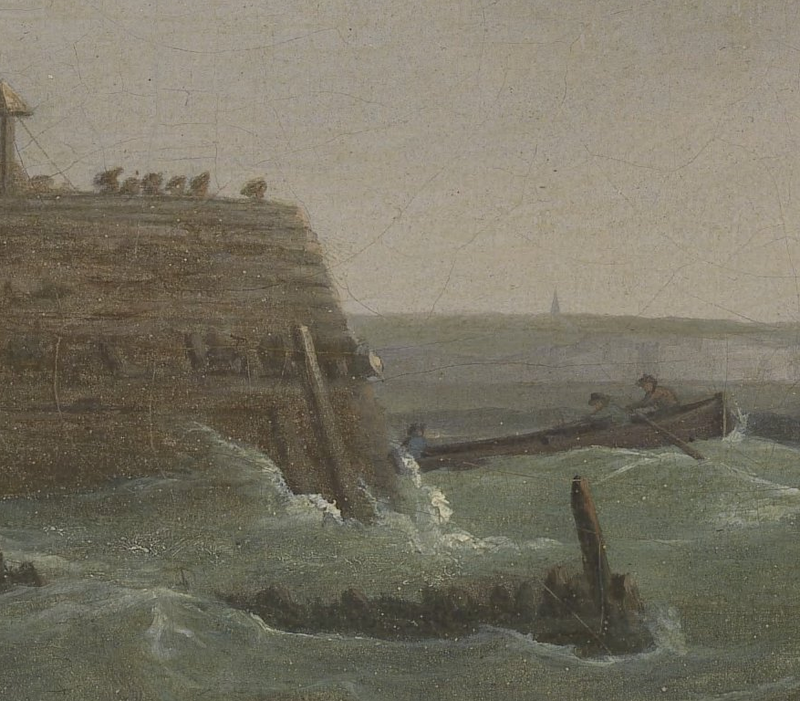 "A Ship Running into Harbour with Other Craft at a Jetty," Thomas Whitcombe, 1788, Yale Center for British Art. 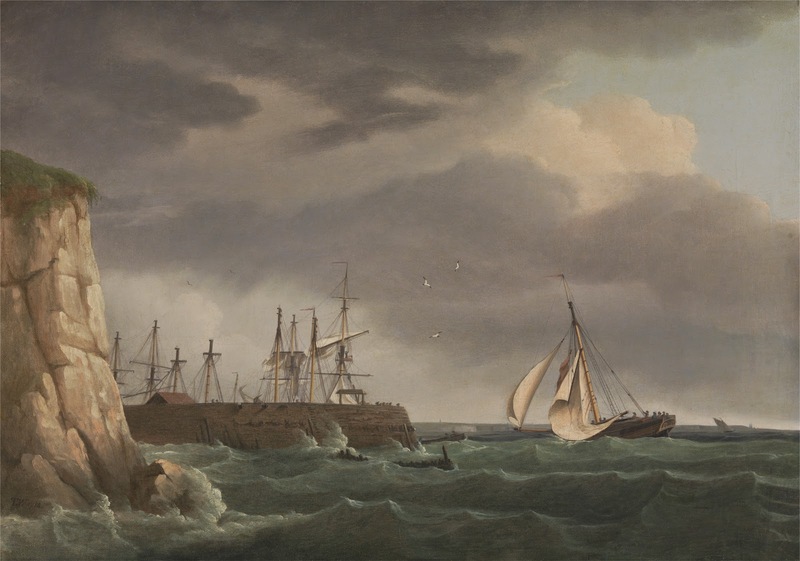 A sloop sails into the titular harbor under a strong wind. The ominous clouds above and the choppy green sea may foreshadow a storm. 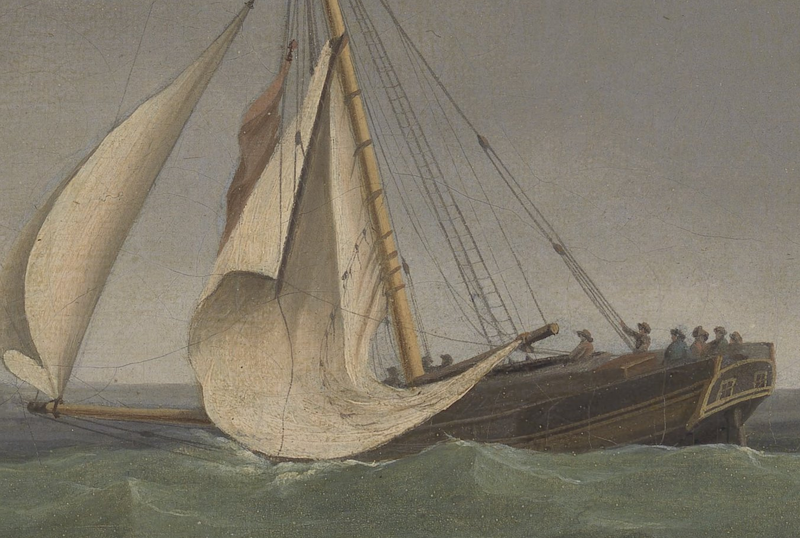 The crew of the sloop are clustered abaft, away from the spray that must be coming up over the bow. 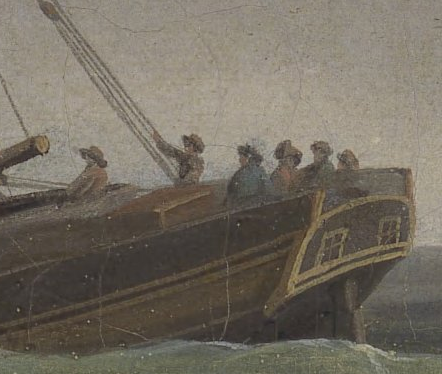 We can make out five sailors, all of whom wear round hats with various lengths to their brim. Two wear blue jackets, and two either brown or red. Another fellow, a passenger or ship's captain, wears a red coat with a broad black cocked hat, and appears to wear his hair in a queue. Rowing out of the harbor, and under the watchful eyes of a small crowd gathered at the ramparts above, three hearty tars make their way over the foam. Like the tarpawlins on the sloop, the oarsmen and coxswain wear blue jackets, and one wears a red or brown jacket. They also wear round hats. 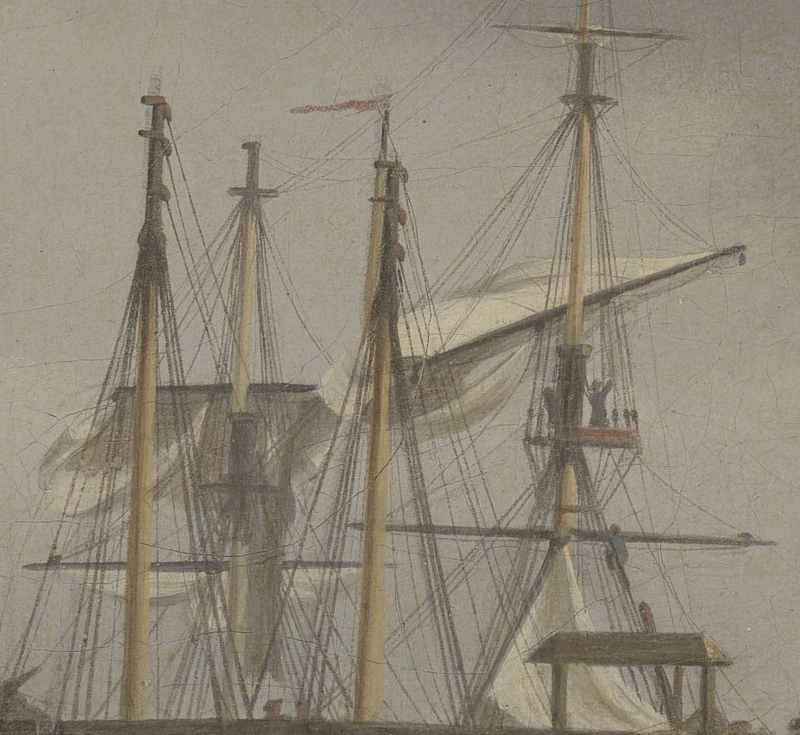 Standing in the tops of a brig is another brave soul, soon to be joined by another working his way up the mainshrouds. Both of them wear blue jackets and round hats, with the jack in the shrouds wearing a plain pair of trousers.